Have you ever enjoyed a cup of pour-over coffee? If so, you have Melitta Bentz to thank. Have you used a paper coffee filter? Bentz is an innovator there too. I only recently learned about Bentz, but she quickly became a personal hero. (I mean, she improved coffee brewing. I owe her). Frustrated with difficult coffee brewing techniques that led to underwhelming coffee and arduous cleanup, Bentz decided to punch a few holes in a copper pot, line it with a piece of blotting paper and design an easy and delicious way to brew coffee. This method was easy to clean, produced sediment-free coffee (hard to do at the time) and was quick. Bentz knew she had created a great new method. This housewife's ingenuity in the kitchen wasn't merely a life hack Bentz shared with friends. She refined her creation and received a German patent in mid-1908. By the end of that year, she founded a company to manufacture and sell her brewing system. The next year, she sold 12,000 of these filter devices at the 1909 Lepzig fair. Both world wars upset Bentz's business, but she found ways to weather these trying times. 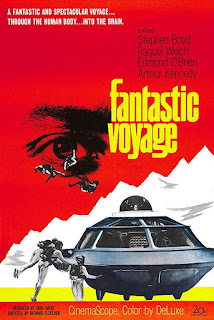 She relocated and relaunched production several times during the years of war and unrest in Europe ultimately surviving the rationing, occupation and reallocation of resources. Bentz went the extra step to take care of her employees. She offered Christmas bonuses, expanded time off from six to 15 days and established a five-day work week. Bentz even set up a company aid fund for employees. Today, the Melitta brand lives on manufacturing coffee, paper filters, pour over filters and more. The brand is stocked in most major grocery stores. The Melitta Group now includes a long list of brands and creates various products all over the world. 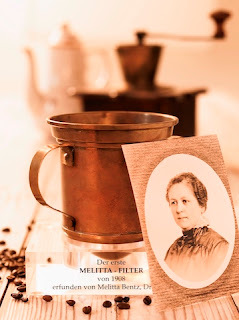 Read about Melitta's founder on their website. Explore this timeline of innovations for the Melitta brand. Pick up a Melitta pour-over coffee brewer, filters and some coffee and enjoy!